Create original jewelry while learning the basics of the fine art of silversmithing in this 1-day workshop. You will learn classic skills of soldering, sawing, hammering, texture techniques and how to use a torch! 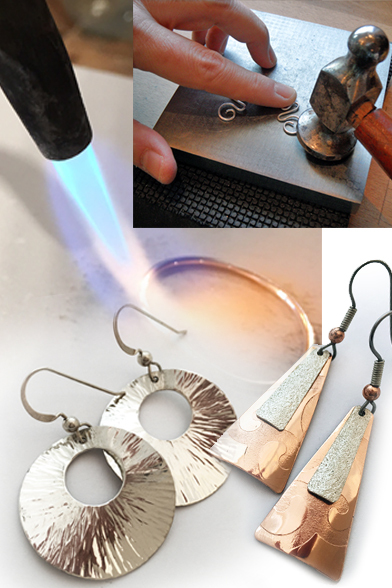 Students will complete 4-6 pieces of finished Sterling Silver jewelry. Minimum age 13. No experience necessary. Bring a bag lunch & your creativity! Location: New Providence Island. At the former home of E. Clement and Keva Bethel on Johnson Road North, near Eastern Rd. An award winning Silversmith, Blair has over 3 decades of experience in the art form. Over her career Blair has shown her work in solo shows, nationally recognized juried fine craft shows, and has been represented by over thirty galleries across North America. In 2009 Blair opened SilverWorks Studio & Gallery in the Washington DC area with the primary goal of bringing her love of the craft to others. Her teaching style demystifies this ancient art form making it accessible and fun. Students learn in a laid-back and relaxed environment that cultivates success and creativity. Blair is known for empowering and encouraging everyone who takes her classes, and loves to help launch people into new creative journeys. My experience at SilverWorks has been beyond my expectations. I have studied under other instructors prior to taking classes at SilverWorks. 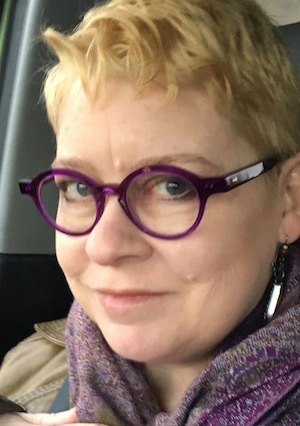 Blair is thorough in her demonstrations; open to any questions you may have during the classes; and becomes attuned to each student's strengths and weaknesses, and is always willing to help you. A fantastic instructor!" - Janine A.
Blair is an excellent teacher. She knows how to take a big process and brake it down into manageable pieces. Her classes will change your life. - Sherree M.
When you enroll in one of Blair's classes, her intelligence, practical knowledge and years of experience will be generously shared in a kind, supportive and professional manner. Blair's style of teaching is clear and instructive without smothering your own creative ideas. Blair creates a platform from which you can grow and create. It amazes me how much Blair wants to share everything she knows about silversmithing with you, she wants you to fall in love with the art. The open studios she provides enables the beginner and the advanced student to realize their vision and continue "playing" with fire. Thank you Blair!" - Wendy B. An inspiring teacher of incomparable skill who brings to her students, and to the subject she loves, a vitality and generosity of spirt, filled with content and trust inspiring creativity, risk and play and a passion of inquiry in all of her students. - Eleni C.
Blair is an amazing instructor. She's one of those rare teachers who, while very accomplished, has the patience and insight to work with beginners. She inspires creativity while instilling the importance of grounding oneself in the basics. I feel so fortunate to have found Silverworks and the great facility and teaching staff developed by Blair. - Nancy M.